Become the pioneer of South America along with courageous Don Diego De Leon in the new Time Management game Adelantado Trilogy: Book Two. The main hero Don Diego De Leon is given the title Adelantado by The Queen of Spain. As you might remember from the previous part of the game the Queen considers that Don Diego is the kind of person whom she can entrust a very important mission of finding the lost expedition and gold for Spain. However while searching for the expedition Don Diego realizes that not all the people has managed to survive. 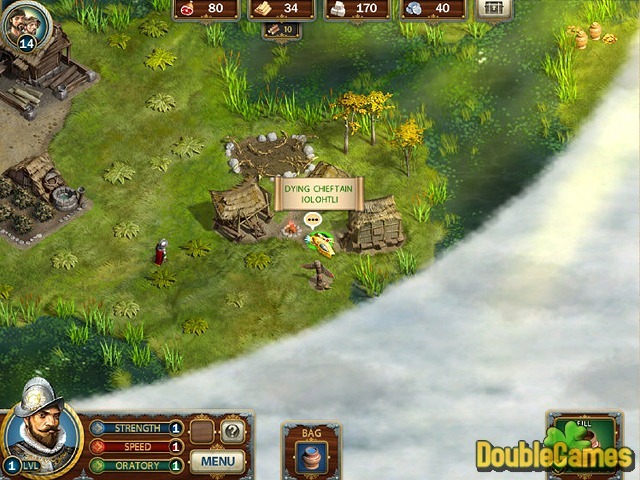 Some of the survivors begin to revolt and refuse to carry on the expedition. Despite all these problems Don Diego along with his devoted fellows must build fortress among impenetrable jungles and defend against invasions. Download the captivating game Adelantado Trilogy: Book Two. Title - Adelantado Trilogy: Book Two Game Download for PC and Mac Description - Release your tension with Adelantado Trilogy: Book Two, a Time Management game given by Realore Studios. 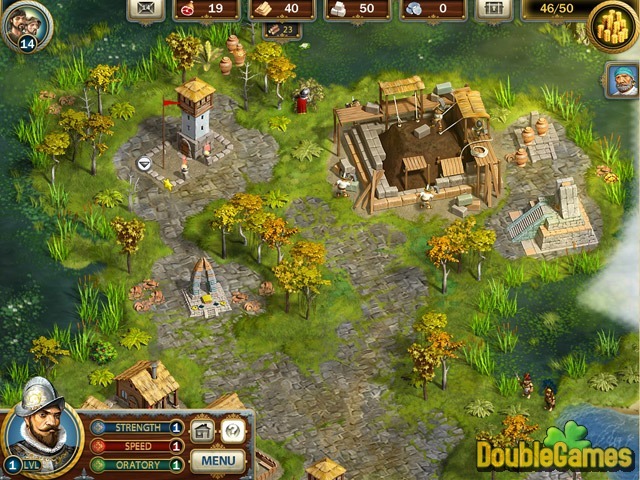 Become the discoverer of South America and find gold for the Queen of Spain. As usual you should show all your best strategical and time-management skills to complete all the levels. Be ready to manage your building with accuracy, because if you build the wrong construction in the wrong order, you risk to waste your time and recourses. Just like in the previous episode, there is such feature as building efficiency, but now you can save the time (and the space on maps) by spending some recourses to instantly renew buildings rather than ruining the old ones. 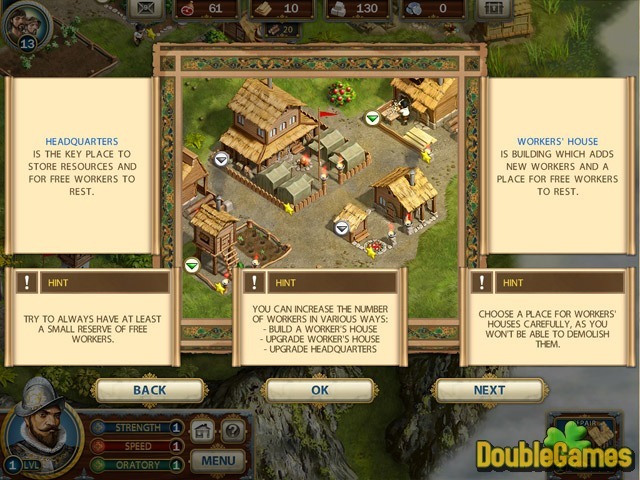 While you don’t need to control manually your fellows and workers, Don Diego is totally under your control. Some recourses, totems and sanctuaries increase Diego’s abilities and now (fancy that!) enlarge upon all members of the crew. All in all, we have improved graphics, new spins ans twists and much more amazing gameplay, that makes Adelantado Trilogy: Book Two one of the best games in the genre.